Hemoglobin Colour Scale Hemoglobin Colour Scale manufacturer Hemoglobin Colour Scale supplier This is called WHO Haemoglobin Color Scale used for testing Hemoglobin on spot under Field conditions within 30 seconds where there is no Laboratory no chemical and no trained staffs available. This device can be used by all Medical Practitioners Hospitals Nursing Homes Blood Banks for Blood Donor’s selection for Screening of Anemic Patients by Rapid estimation of HB ASHA Workers ANM Baal Wadi Aangan Wadi Mamta workers of State Govt. Primary Health Centers PHC Community Health Centers CHC and Sub Centers for estimating Hemoglobin by Rapid Method instantaneously even at village Level. 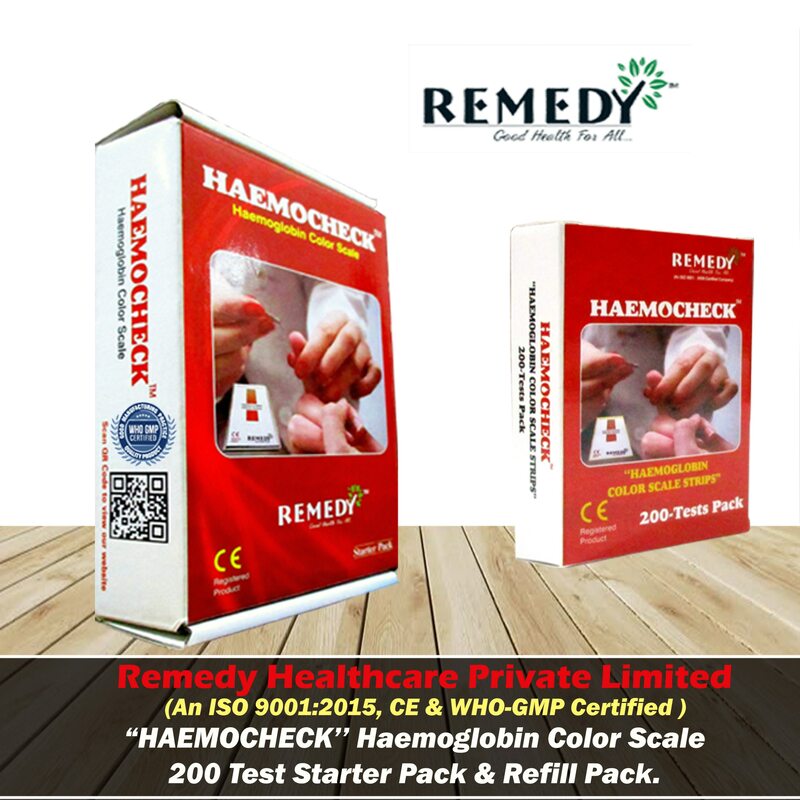 We have HAEMOCHECK in 3 Packings viz 200 Tests 100 Tests and 50 Tests Starter Packs and Strips also separately.